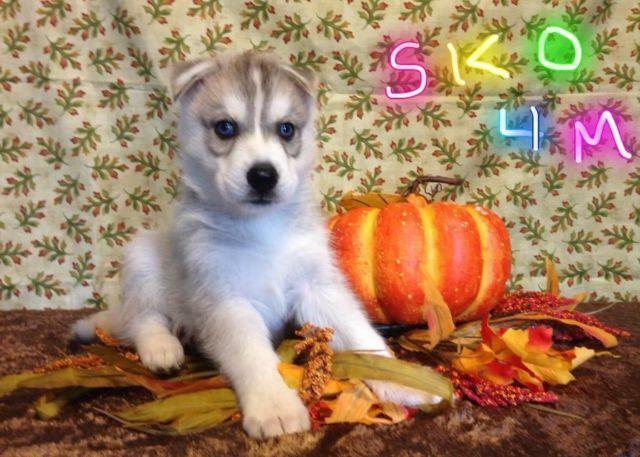 AKC Siberian husky 2 LEFT MALES, SKO4M is gray/white with blue eyes and SKO5M is gray/white male with brown eyes available.. These puppies have 4th ch bloodlines in their generation. Come with puppy contract, 2 yrs guarantee, vet check, vaccines/worming and puppy pack.. Mircochipping $30.. Ground shipping available.. Asking $900 limited or $1200 full registration plus state sale tax. Visit at www.debbiesdreamsiberians.com.